The style of my previous articles was a bit technical and, let’s be frank about it, rather rigid. It was due to the fact that the goal I set for myself was to make a thorough analysis of the production processes and the finished product at hand. The text you are about to find below is going to be a little more loose. 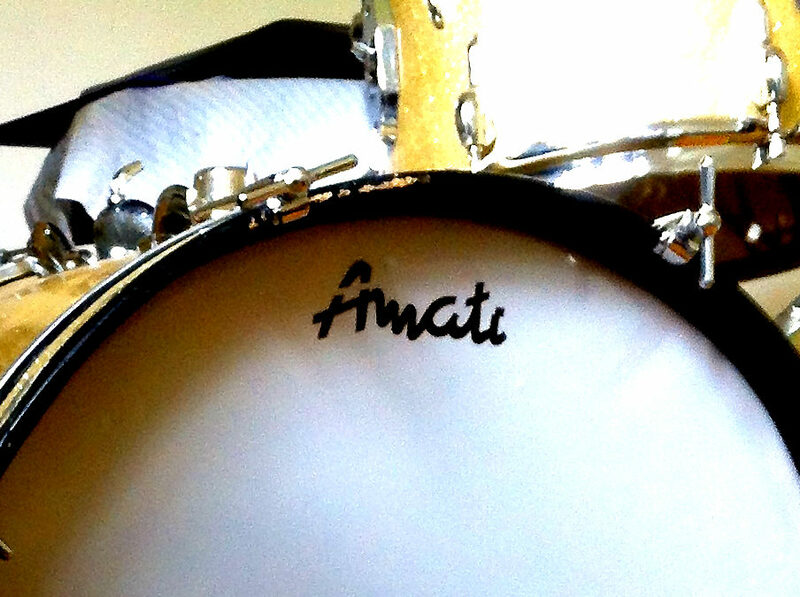 Amati, although not a Polish company, is known to every Polish drummer. As far as BeatIt’s international viewers are concerned, it still would be a mistake to dig deep in the smallest details as they are mostly not very familiar with the drums I’m going to discuss here. 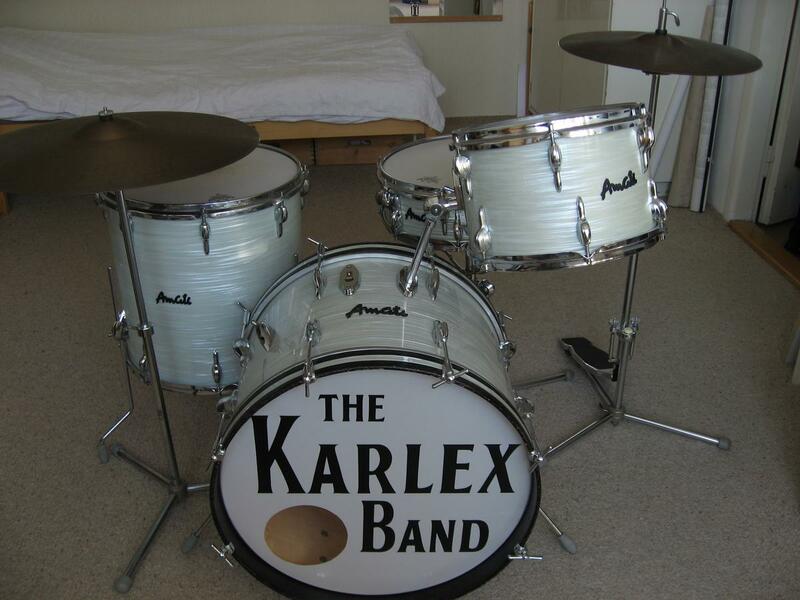 The important thing is we’re talking decent quality drums some of us still play to this day with great joy. The brand name Amati always makes me think of a story I heard from a good friend of mine when we were dashing 140 km/hon a German motorway to Frankfurt Muskmesse. Almost 40 years ago, a guy he knew – one of those music veterans each town has a few (they don’t play at a pro level but have been in it for so long that they become a source of knowledge for youngsters), decided to make his dream of owning an Amati kit come true. In the midst of the communist night, the chance of simply walking into a shop and buying a shell set like that was equal to zero, so one was left to his or her own devices. As luck would have it, this guy’s neighbour was a truck driver carrying fruit all over Europe. After much nagging, he agreed to buy (for a handsome amount) and bring an Amati kit home from Czechoslovakia. The deal came through (which these days wouldn’t be such an obvious outcome) and the truck arrived at the buyer’s house one day with the beautiful baby on board. The drums had been traveling in the load space box for a week and had lost the fresh look, but it really didn’t matter to the new owner. He immediately fell in love with the scratches, the bruises and the imperfections… A white Amati concert tom set, exactly like the one our hometown drum hero – Wolf Spider’s very own Tomasz Goehs used to have at the time. Those were the days… Obviously, this story is not the only one. Reading or listening to such stories, one can quickly understand what kind of difficulties musicians had to face in that system. Back in the 70s and 80s, Amati was right up there with Tama, Yamaha or Pearl. It was even better because, unlike Japanese, American, German or British brands, purchasing an Amati shell set was at east imaginable. The instruments produced later came in a number of configurations, which I am unable to describe in detail, but there weren’t many of them. Generally speaking, the company configured their drum kits for two groups of customers: those with a thinner wallet and better-off ones (usually pro players). There certainly was a standard configuration: 22″x14″, 12″x8″, 13″x9″, 16″x16″ with a 14″x5″ steel snare (sometimes a wooden one). The kit would come with a set of hardware (a bass drum pedal, a hi hat stand, a boom stand, a straight stand, a snare stand, a drum stool and a basic set of cymbals (14″, 16″, 20″). Another configuration I know of was more rock- and concert-oriented, i. e. deep toms, a rack, a virgin bass drum (2 inches deeper), a deep snare (14″x6,5″ or even 14″x8″, but the latter was very rare). The sizes would usually be as follows: 6″ and 8″ (bongos), 10″x10″, 12″x12″, 13″x13″, 14″x14″ (power size toms), 16″x16″, 18″x16″ (floor toms), 22″x16″ (bass drum). 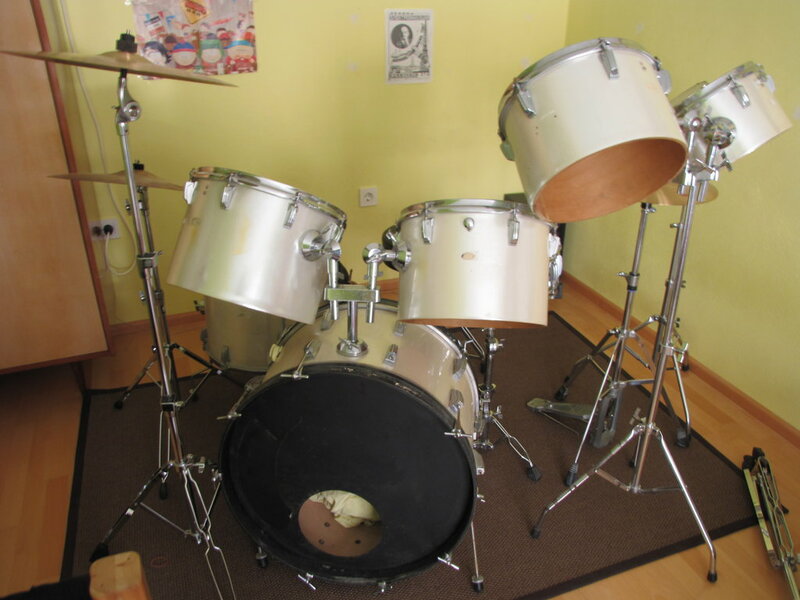 There were also slightly less typical drums, such as hanging 14″x10″ or 13″x11″ toms. Those, what I call concert kits, came with a rack with square tubes. It was dangerously similar to Pearl’s but still, a real luxury at the time. The clamps would only match a specific holder pipe diameter (specific for Amati), so they were not compatible with holders from other companies. The tom holders were also slightly different for this tom configuration – they were much longer and corresponding tom shell depth. 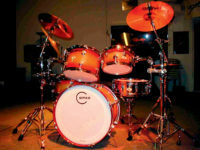 As far as kits with concert toms (i. e. those without resonance heads) are concerned, such sets included floor toms and kick drums with both batter and resonant heads. All the other toms were deprived of bottom skins along with the hardware necessary to mount them. Watching live footage of many Polish drummers from the 1970s, one can easily see how many of them played drums made by our Czech brothers. 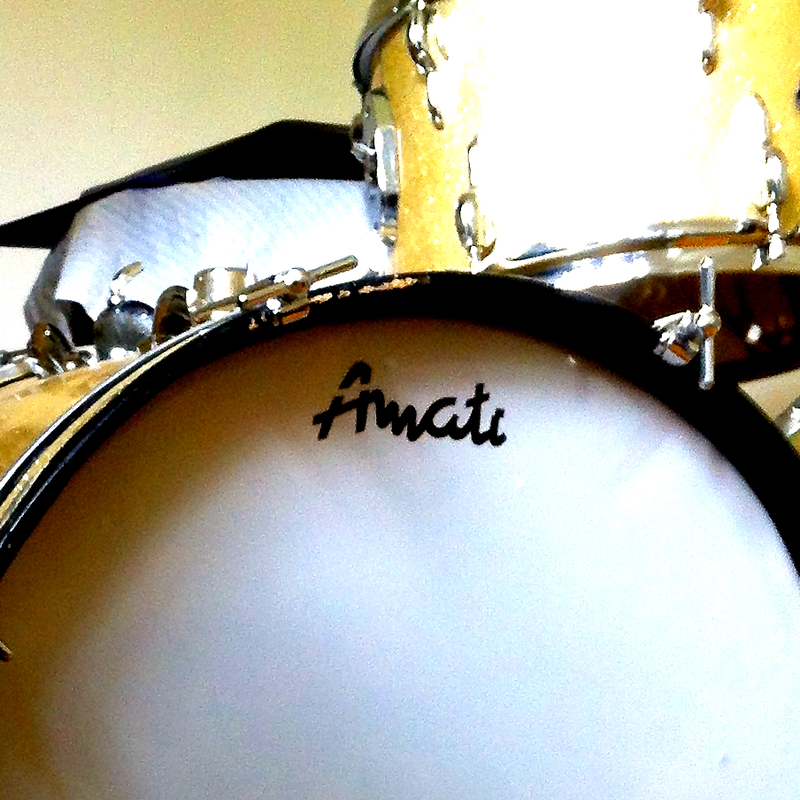 As for Amati snare drums, the company also offered 14″x3″ piccolos with different lugs and a smaller throw-off. The hearts of all Amati lovers in our part of the world start beating faster at the mere thought of owning a “pancake” like that, but they are really hard to come by. I have only seen one such baby from former Czechoslovakia and I have to say it sounded good – bright and with short decay. I have to admit that Amati bongos have not aged at all over the years. With the exception of the slightly impractical stand, it has to be said they hit the bull’s eye back in the day. It was around the time when The Police were at their peak of popularity and Stewart Copeland was at his creative peak with such sounds. Two tiny drums (6×5″ and 8×6″) and so much fun to this day. I stopped being surprised to see Amati bongos on much, much more expensive drum kits a long time ago. Only one rule applies: “If it sound good, why overpay?”. I fully agree! As all users know, Amati shells were made from beech plywood. Their thickness was about 10 mm for kick drums and 7 mm for toms and floor toms. Generally, the plywood was free of knots, stains and other flaws. It was nicely finished, however, with the exception of bearing edges, which did leave something to be desired. Most players would make corrections on their own. 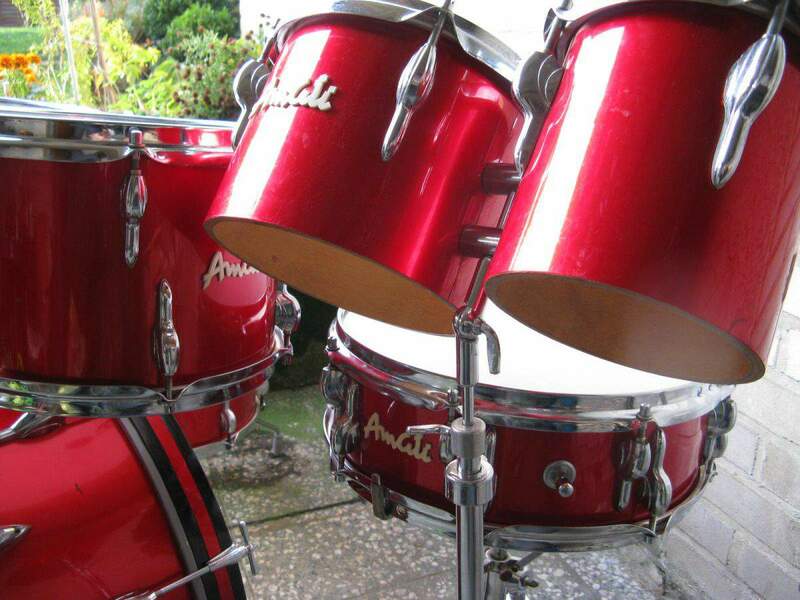 Amati kick drums and snares had 10 tuning rods on each side, 12″ and 13″ toms had six, while 14″, 16″ and 18″ toms were tuned with eight tension rods per side. To this day, 18-inch floor toms are one of very few options when looking for a relatively cheap jazz bass drum. 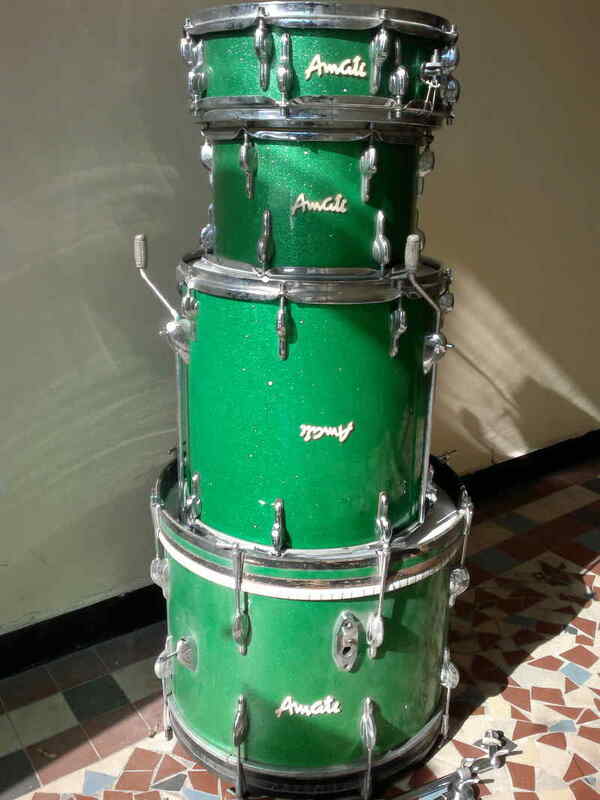 Having been fitted with wood hoops and a base plate (usually Pearl Jungle Gig), those babies could surprise many drummers who have never played them for the first time. Amati hardware came in two versions: light (60s vintage) and newer stands manufactured right until production was discontinued. Every piece of Czech hardware was durable and well crafted. Compatibility was also important at the time. The bass drum double tom holder fitted the cymbal stand legs. Also, it was possible to mount the single tom holder onto a cymbal stand instead of the cymbal holder. This opened new possibilities to drummers and made custom configurations much easier to achieve. The boom stands always had two vertical sections and a counterweight. An additional vertical section was reserved for the straight stands, which are hard to find these days. Although built from rather thin tubes, they did their job in an exemplary way. The snare stand were designed in a standard way, with a wing-nut-adjusted basket. The chain driven foot pedal was equipped with a single spring. It was fairly fast and easily mounted to a bass drum hoop. A revolutionary solution in those days was a motorcycle-like seat top, which (although rather small) was rather comfortable and certainly much better than a kitchen stool. Unfortunately, the legs turned out to be rather shaky and not very carefully thought out, especially taking current norms into consideration. 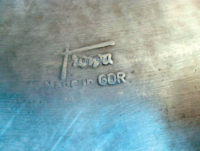 The top, covered with artificial leather with an embossed Amati logo was to support many drummers for years and years. It should also be noted that small hardware elements from Amati (holders, tom and leg mounts, lug inserts and all manner of replacement parts which like to break when least expected) were of decent quality. Good threads, strong casts and durable materials. All of those are fully functional even today. Amati cymbals are a different matter altogether because (as opposed to Amati drums) they are manufactured today as well, although under a different name: Magic Brass. Those are of much lower quality than in the old day, but they have survived all the changes in the market and are also available in Poland. Magic Brass are entry level cymbals. Earlier Amati cymbals were thick, quite good-sounding, heavily hammered cymbals made from brass. 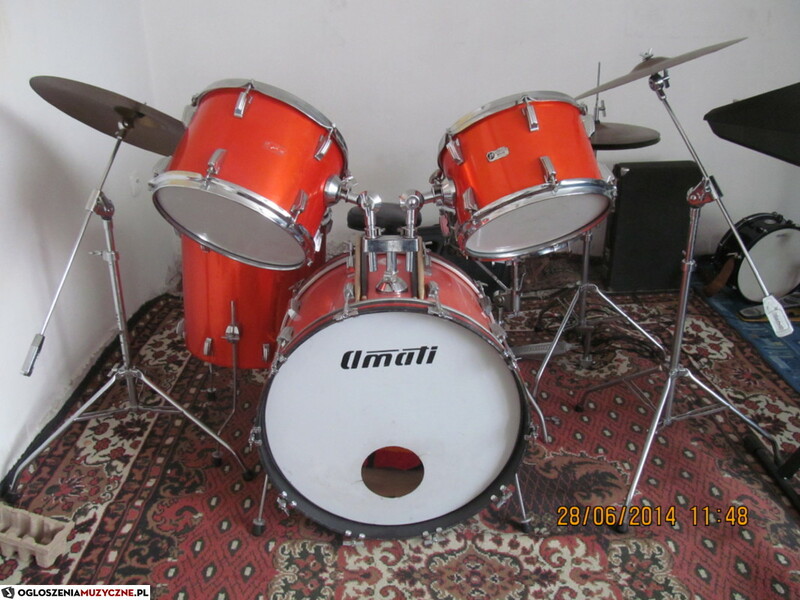 In the 1970s, they would give countless drummers in Central Europe sleepless nights. They were so durable that many can be found in good condition even today. Amati cymbals came in the following sizes: 15″ hats (14″ less frequent), 16″ crash (18″ less frequent), 20″ ride, 10″ and 12″ splashes (I’ve only seen them once myself). They all had an Amati stamp, which made identification easier as there was no painted logo on (as was the case with many brands). Especially the rides sounded good and were so saught-after that even today it is possible to encounter rock drummers who still use them. What I can say about the factory heads that came with Amati drums is that they were single-ply, smooth and white – functioning both as batter and resonant skins on every drum. The sound was neither good or bad. Simple as that. 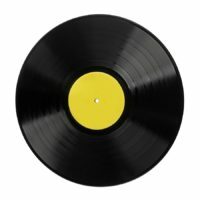 There was also a front kick drum head with a characteristic, extended “t” in the black logo. The finishes on later Amati kits were much softer than the Polish Polmuz or the East German Tacton. The wraps were always plain or with a slight touch of sparkle. The most frequent colours were white, cream, black (also in the form of an ugly, thick, leather-like wrap), navy blue and cherry red, both classic and sparkle. There were also slightly more “outrageous” finishes, such as purple, orange or blue. 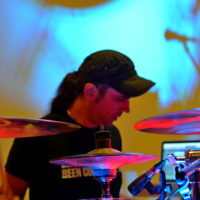 The wraps were very good quality – a bit thick (which dampened the drums a tiny bit), but resistant to wear and tear. They could take a great deal of mechanical abuse that takes place on the road. As for vintage Amati kits, one can expect a wider range of finishes: lots of glitter and sparkle – silver, gold, yellow, green, plus all manner of abstract patterns, which are rather difficult to describe. Beautiful colours and a symbol of a period in music history. Amati drums were simply decent instruments, which was enough to make them popular in the Eastern Block countries. A huge percentage of those kits can still be found in good condition, which is a good testimony to the manufacturer’s efforts, technology and materials used. 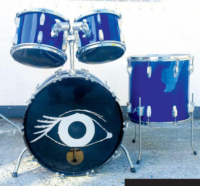 However, the mythical status those drums enjoy in the post-communist countries is very much exaggerated and should be reserved for high-end kits. Amati are good, semi-pro-level drums (more ‘semi’ than ‘pro’), the advantage of which today is a low price and decent sound after some careful tuning. 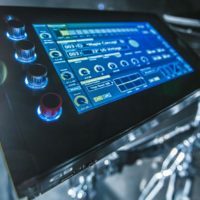 They are great for all manner of customization experiments, but hardly any material with which to produce a great sound in studio or on a big stage. When I was at school, my history teachers concentrated mostly on our Poland rather than the neighbouring states. Perhaps that is why I’m a little bit surprised that our neighbours in the south-west (based in a small town of Kraslice) were able to design, build and sell decent-quality drums. Maybe they were not pro level instruments, but certainly good-sounding and durable. Amati is a brand that is talked about to this day, and its reputation remains complimentary. P.S. When writing about Czech Amati, I neglected a number of Polish manufacturers, such as: Polmuz, Słowik, Jurczuk, Bertus, Royals and others. Unfortunately, information on those is scarce and hard to complete, which has forced me to postpone taking that challenge until later time. Photo: Mateusz Wysocki, Robert Bator and unknown Internet users.